I was delighted and honored when Ray asked me to write some words for ProFifalution on what goes into a PES Option File and PES editing in general. Let me start by explaining what an Option File is. For those of you who already know, firstly forgive me and secondly please pass this on to anyone you know who is considering purchasing PES2014 for them to understand what the editing community do to improve their gaming experience. An Option File is a collection of saved files which have been attached to the main edit data save file amongst your saved game files. How are these files attached to the edit data file? Well that’s because the edit mode in Pro Evolution Soccer allows the user to add images (of the correct size and resolution) to something such as a team’s strip (kit), the team’s emblem or, even the league’s emblem. Once these files have been created in the edit mode, that’s correct within a fully functional mode within the game, so you don’t need a debugged console or PC, they become attached to the edit file on the same machine which means so long as you have the right edit data save file and the right other saved files (emblems/kits), your game will see all of this whenever you start PES therefore allowing you to see real kits, real players and real leagues you didn’t see when you first bought the game. Also to be found within the edit data save file itself are team lineups, playing styles, transfers, extra players and so much more besides those. Edit data files can grow quite large 😀 in recent years the most complete sets of files have included over 1000 files (600 kits, 300 added faces plus league emblem images). This is called an “Option File”, partly because that was the original name for a save data file but mainly because you the user have the option to do whatever you like as long as you have the ability and/or the time to do it. But, what if you don’t have the ability or the time to do all of this? That’s where we come in, PES Editors. We edit PES to make the game look, feel and sound more realistic and ultimately more enjoyable for you. We spend the time using our abilities to create an Option File which you can download FOR FREE and simply add to your console or PC and… BOOM you’re done, your gaming experience has been enhanced with minimal effort from you. D) Because we’re good people who share things with our fellow human beings, as that’s what people in the PES community do! So, how much work goes into an Option File? Well it can take many, many, many hours to create an Option File to the highest standard and to edit all of the things we can in PES. The key is to be organised! Every summer just as a new football season is about to kick off, PES editors all over the world are capturing images, finding or even making player abilities and appearances, deciding on which teams and player they want to add to PES and then determining the best starting eleven and the team’s playing style amongst other pieces of research. All so that when PES hits the shops/floor mats we can get cracking! Even before PES is complete PES editors are finding or making thousands of images, scouring club and player websites for information which will make their Option File as accurate as possible. Trust me, if a PES Editor isn’t playing matches in PES… were editing or creating something in PES. 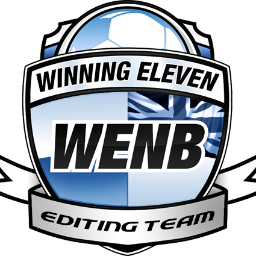 I’m part of the WENB team and we have come up with a system which allows us to record what we want to do before PES is realised, this is always changing once announcements are made by Konami or things we think are going to happen have been confirmed or officially denied. Some editing teams are larger than ours and some are smaller some editors even work alone so you can imagine how busy things can get. But, it’s all worth it in the end, to see the quality of files we produce come together bit by bit and to see the reactions of the PES community, when they install our files, is exactly why we do it. If you haven’t tried an Option File before you definitely should (! ), your PES experience isn’t complete until you have! Imagine PES with more player appearances then the ones you had when you first played the game, more accurate kits than you first had, more accurate player abilities, more goal celebrations, more chants from the crowds in your stadiums and the music blaring from the stadium speakers as the teams enter the field of play (or is that battle?). This is what we do and this is what we love to do. An Option File truly is a labor of love! Personally, I spend around 400 hours each year in the PES edit mode alone… and I’m part of a team who spend similar amounts of time in there too! If you want to see what the outcome of all of this information gathering, out of game creating and planning and all of those hundreds/thousands of hours looks like, you can check out our Option File for PES2014 from the date of release, that’s right (!) every year WENB provides you with an Option File to enhance your experience FROM DAY ONE, FREE OF CHARGE. 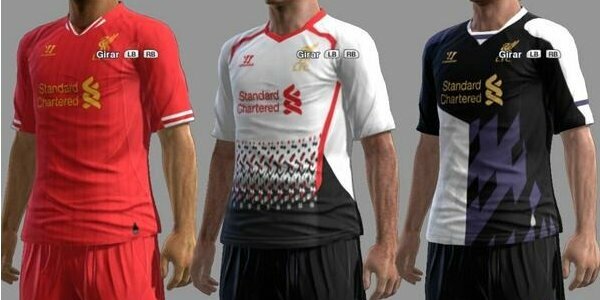 We then build on that Option File and more and more teams, kits and players among other things as the season progresses. So stick with it and watch it build as we put it together. If you ever want to know how any of the editing we do is done, we can let you in on tricks of the trade so don’t be shy, drop any of us a line.